Radical Islamic cleric Abu Qatada has lost his appeal against a Home Office move to deport him to Jordan. The home secretary welcomed the ruling, seen as the first test of a policy that seeks assurances deportees in terror cases will not be abused on return. The alleged al-Qaeda figure's lawyers said he could face torture at home but the UK said he was a security threat. Qatada, who has been convicted in Jordan for terror attacks, is to seek leave to appeal the deportation ruling. Human rights lawyer Gareth Peirce said it was a "profoundly important appeal" that could have ramifications across the world. Qatada, 45, has spent most of the past five years in prison in the UK under anti-terrorism and immigration laws. The judgment by Special Immigration Appeals Commission (Siac) chairman Mr Justice Ouseley said members had concluded there was "no real risk of persecution of [Qatada]" on his return. The case is significant because the government has been trying to secure deportations to countries accused of torture by securing special agreements that deportees will not be abused. The agreement - called Memoranda of Understanding (MOU) - signed between the UK government and Jordan in 2005, aimed to guarantee that anyone deported to the country would not face torture or ill-treatment. Critics claim the MOU is meaningless, with director of civil rights group Liberty, Shami Chakrabarti, saying "paper promises" were not enough. "Dodgy little 'assurances' from regimes that practise torture convince few outside government," she said. But a lawyer for the home secretary, Ian Burnett QC, had said it would be "extraordinary" if Jordan did not comply with its diplomatic assurances. Mr Reid said the government was "pleased" the court had recognised the value of MOUs. "It is our firm belief that these agreements strike the right balance between allowing us to deport individuals who threaten the security of this country and safeguarding the rights of these individuals on their return." Qatada's legal team claimed in Siac hearings last May that part of the government's case against him was based on evidence extracted by torture. But on Monday the Siac members dismissed the case put by Qatada, also known as Omar Mahmoud Mohammed Othman. Siac accepted Qatada had "long-established connections with Osama bin Laden and al-Qaeda" and that he "held sway over extremists". "He has given advice to many terrorist groups and individuals, whether formerly a spiritual adviser to them or not. His reach and the depth of his influence in that respect is formidable, even incalculable." the judgment said. 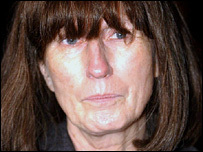 Ms Peirce said the ruling would mean sending Qatada to a "flagrant denial of justice", with the prospect of trial by a military court using evidence obtained from torture. "We say it would be so grotesquely unreconcilable with the concept of justice that it would constitute a complete denial of our responsibilities - to deport on that basis with that known prospect." She added: "We understand that this decision is being monitored and watched by a number of other countries who are considering deporting individuals to regimes where they know they will be tortured." Amnesty International UK campaigns director Tim Hancock said the group was "profoundly concerned" Siac had discounted evidence showing the risk of torture if Qatada was returned to Jordan. This included material documenting the "routine infliction of torture on 'security suspects' in Jordan...a practice which continues with impunity". 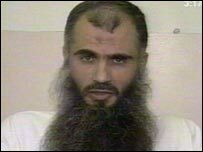 Qatada became one of the UK's most wanted men in December 2001 when he went on the run on the eve of government moves to introduce new anti-terror laws. The Palestinian-Jordanian has always publicly distanced himself from claims of links to al-Qaeda and insists he has never met its leader, Osama Bin Laden.